Our wedding was outdoor on a mountain and it was WET and WINDY! Joe found ways to make all the pics clear and beautiful! He scouted out locations for weather and took AMAZING pics! 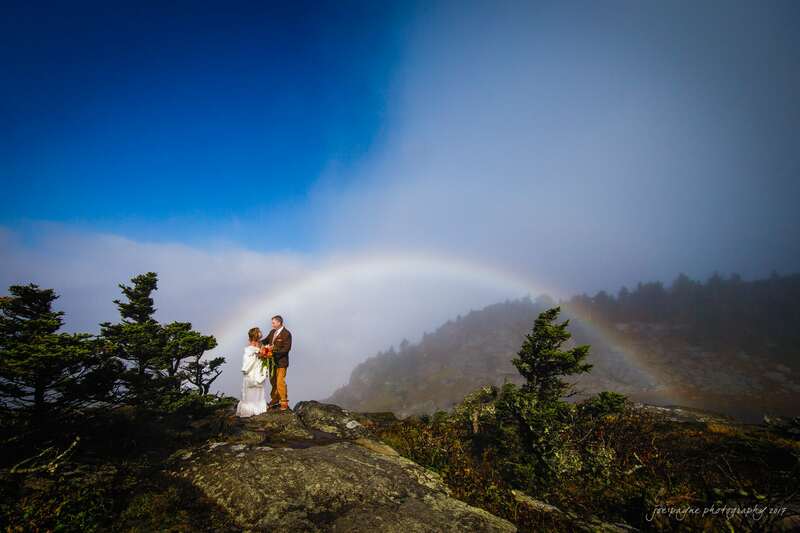 During the ceremony he climbed all over that mountain to create beautiful photos. He clearly understands light, color, and perspective. In his photos I feel beautiful and our venue appears stunning! I could post so many pics, but it would be unfair to Joe!